Captain Tim Daugherty welcomes angles of all experience levels, children & adults, from the beginner to the seasoned pro. 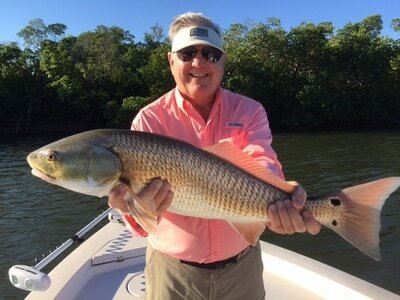 Southwest Florida offers some of the finest backcountry light tackle fishing in the world. 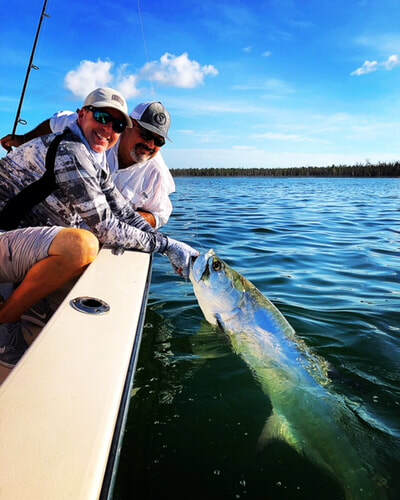 The Southwest coast including Estero Bay, Naples, Marco Island, and down through the 10,000 Islands offers some of the finest backcountry light tackle spin & fly fishing in the country. This area lends us pristine bays, mangroves, oyster bars, tidal estuaries, and passes. Our paradise contains miles of shorelines and grass flats attracting some of the best in shallow water fishing. 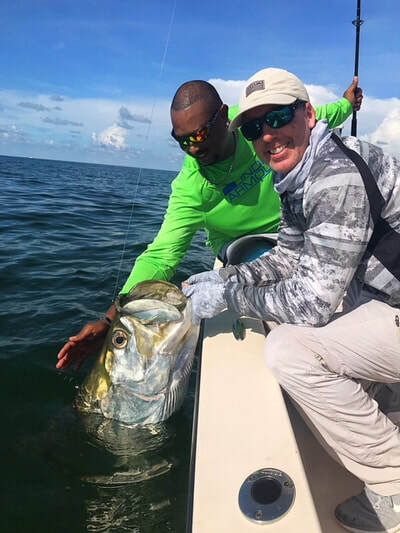 The four most sought after game fish including tarpon, snook, trout, and redfish can be targeted on a year round basis. Backcountry fishing is so popular because it typically offers protected year round calm waters. Whether it's fly fishing the grass flats or sight fishing the white sand beaches and mangroves you are sure to always have an amazing experience out on the water! "This was a fantastic and fun fishing trip. Captain Tim was a great guy, fun, knowledgeable and knew where the fish were. 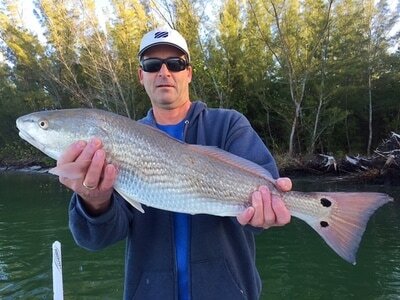 We met Tim at a boat ramp in south Naples, but he did mention that he travels to different boat ramps depending on the fishing which is excellent. 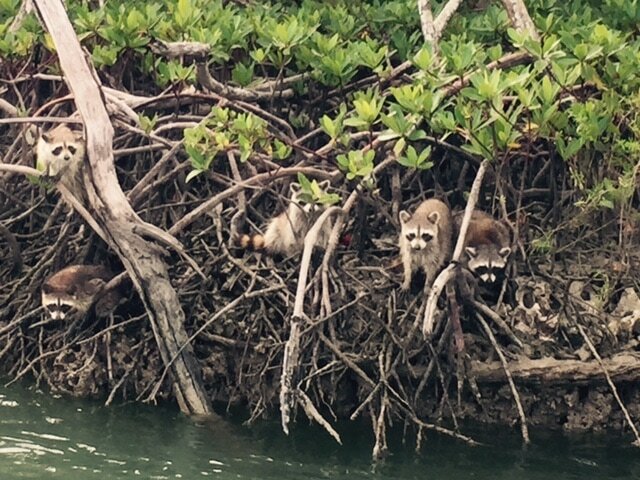 The boat was very well kept and the perfect size for fishing near the shores and mangroves. Tim provided all the gear we needed plus water and had plenty of bait fish. We fished four different areas and had luck at every spot and each was a little different which made it even more enjoyable. My wife and I will definitely be chartering a fishing trip with Captain Tim again. 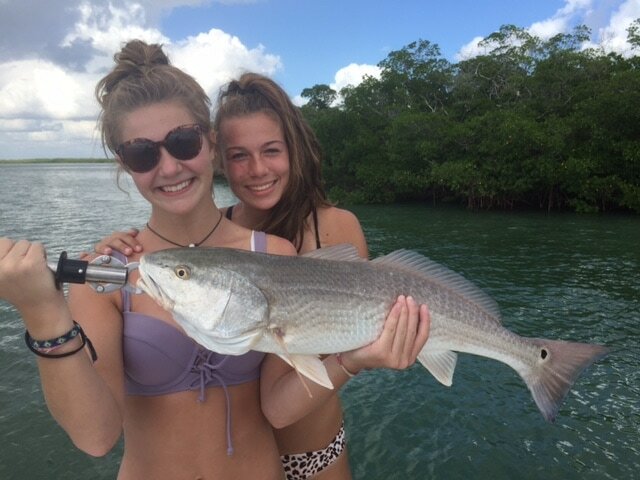 Thanks for a great fishing trip!" 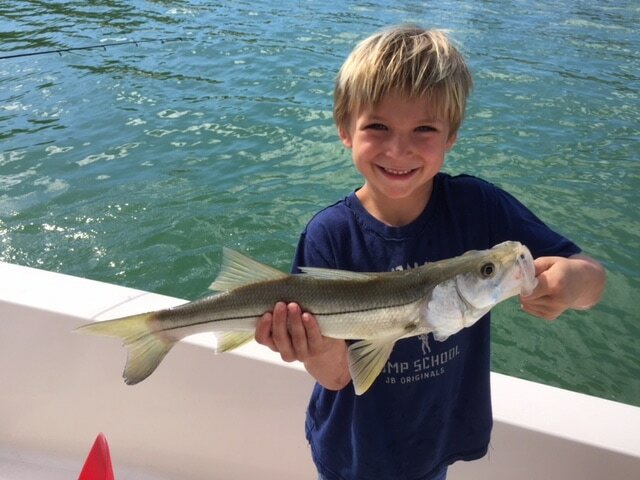 "I took my 5 year old son fishing with Captain Tim on a half day trip and it could not have been a better experience. Tim is very knowledgeable about the local fishing spots and was incredibly good with my 5 year old. We caught a ton of fish including snook, jacks, blue fish, snapper and even a tarpon. I would recommend Captain Tim for anyone looking for a day on the water and we will definitely be using him again when we return to the Naples/Marco Island area." be booking again when in Naples." Most of my clients prefer to use spinning gear, as it's easy to cast with the newer braided lines that allows you to cast a mile.  Whether its live bait, casting top water plugs, or jigging the deep holes, anglers of all ages and skill levels can enjoy spin fishing. Our morning usually starts with a couple of throws of the cast net to load up on some live bait, and out to the fishing grounds we go. I tend to use Penn rod and reels spooled up with 15 pound power pro as it's a perfect match for light tackle angling that's sure to get your adrenaline pumping!  For the ultimate challenge, fly fishing is the way to go. 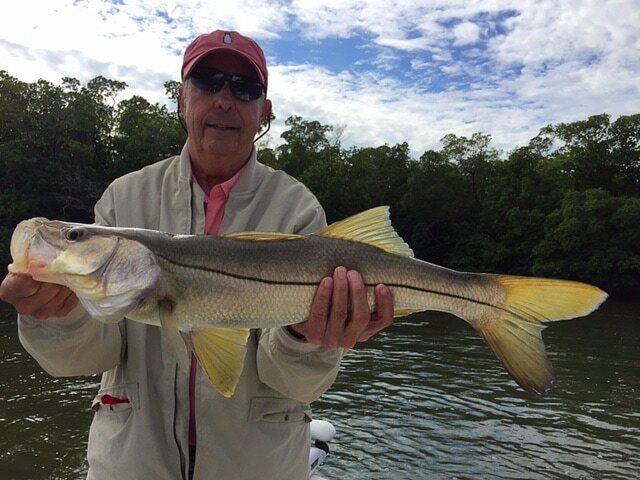 I get anglers from all around the world that come to Southwest Florida to fly fish for tarpon, snook and redfish. It’s here, deep in the back country of the 10,000 Islands, where we will pole the endless mangrove shorelines and hunt these local fish. I truly enjoy the visual connection that fly fishing the backcountry offers.